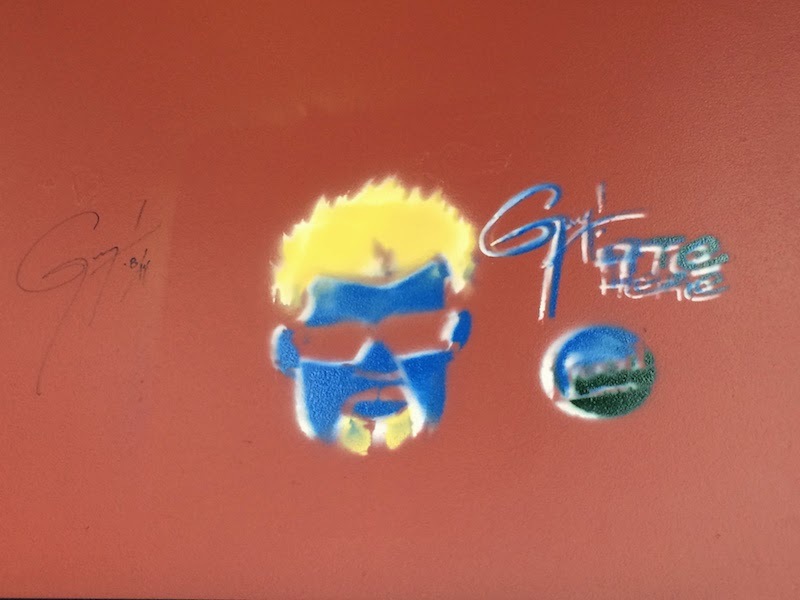 Soup Nation is a soup & salad joint seen on the Soup-Centric episode of Diners, Drive-Ins, and Dives. 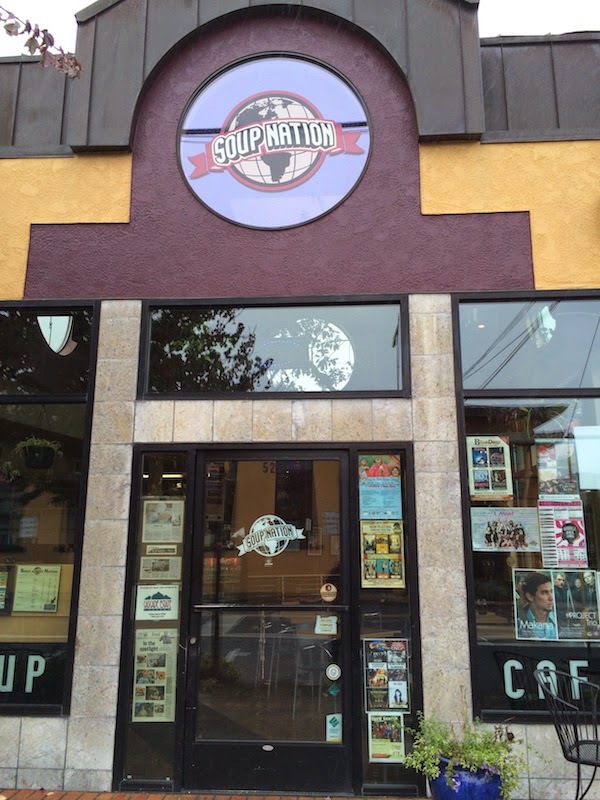 Soup Nation is downtown across the street from the public market in Eugene, OR. Everyday there is a new menu of 10 to a dozen soups, mostly vegetarian but some with chicken and even one with beer. 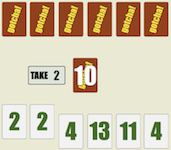 The 3 Cheese Tomato is on the menu every day. 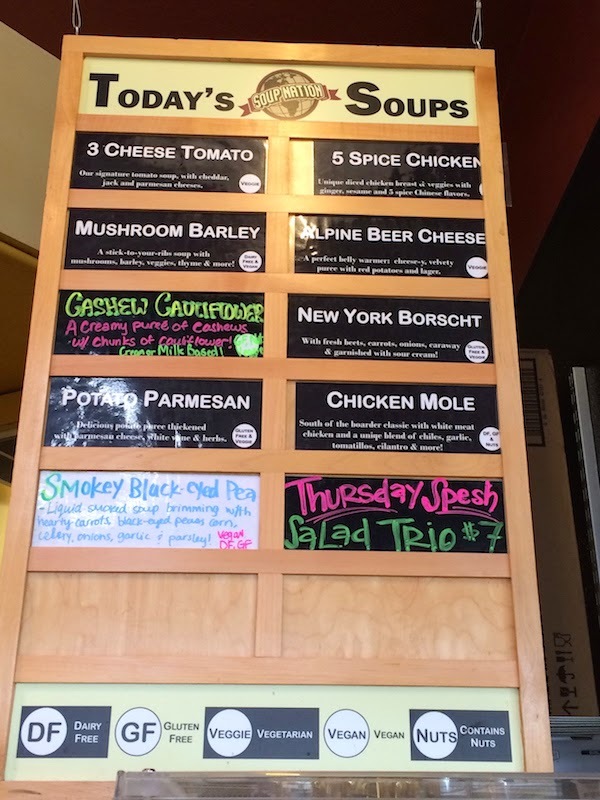 I visited last week and these were some of the soups on the menu the day I was there: Chicken Mole, Potato Parmesan, 5 Spice Chicken, Alpine Beer Cheese, Mushroom Barley, New York Borscht, and Smokey Black Eyed Pea. The friendly staff are glad to give you a sample, so be sure to ask for one. Most of these flavors I had never heard of, so I tried a sample of the Cashew Cauliflower. It was hot, creamy, and delicious. You could taste the cashews and there were bit-sized chunks of cauliflower in it. It was delicious. 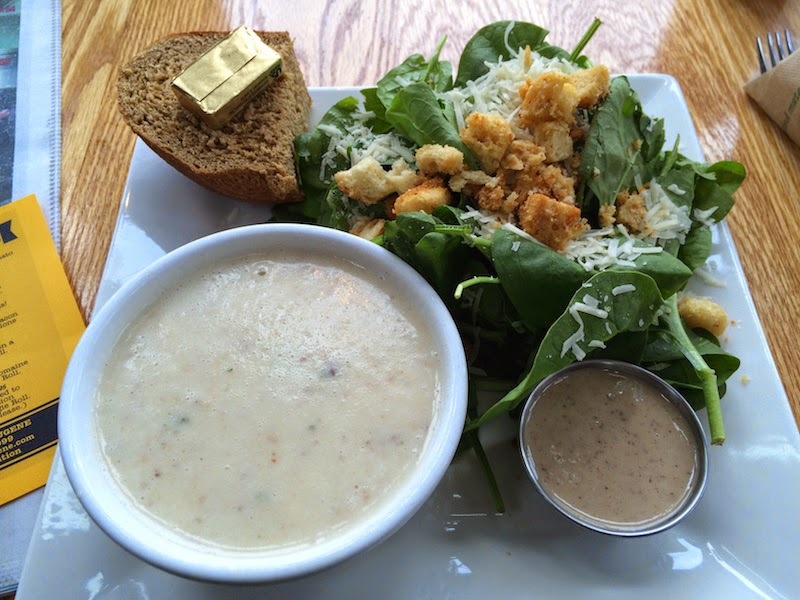 You can get a bowl of soup by itself, or in a combo with a salad and bread. The wheat bread is fresh out of the oven and served in a big chunk. (In fact, the bread is so delicious, I wish I had the Soup Nation bread recipe!) The spinach greens are typical of Oregon: very fresh and sourced locally.